Sent this sweet orchid to your gal for any ol' occasion! This beautiful plant is the perfect way to let that special someone know that you're thinking of her. Care of this delicate plant is easy! Just place in a bright room out of direct sunlight and away from drafts. Temperatures should remain above 65 degrees Fahrenheit. 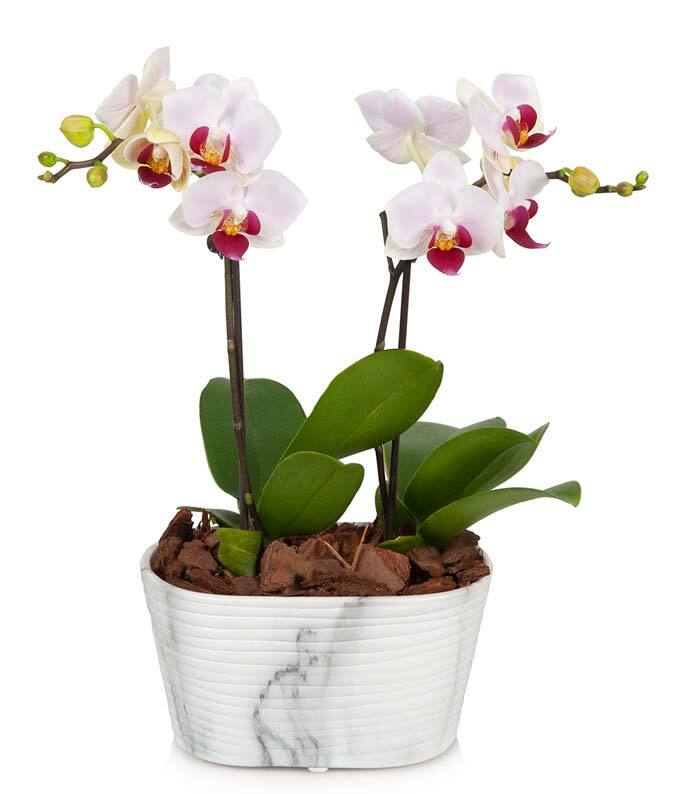 To water, simply place one ice cube per orchid in the pot once a week!